Join us for the most unique, fun wine classes Philadelphia has to offer! From food and wine pairings to exploring different wine regions around the world, we have a wine topic for you! 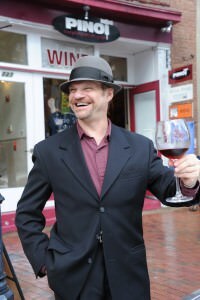 What is the difference between our wine classes and wine tastings? Good question! Our wine classes are more educational than our tastings. Each class is led by one of our trained instructors as a guided tasting. They are held in our private tasting room and are limited to 16 participants. Our wine tastings are a more casual, self led experience held in our public tasting bar. Please visit our event calendar (here) for our current wine classes and events. If you don’t see something you are interested in, let us know! We are always adding more.